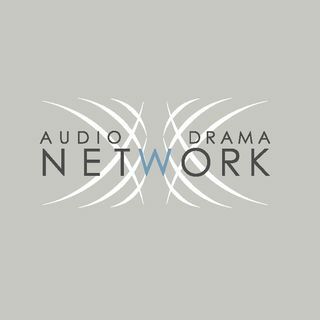 The Audio Drama Network is the podcast network of Aural Stage Studios, inc., a 501(c)(3) nonprofit organization dedicated to the art of storytelling through the medium of sound. Explicit Otherworldlies S1E1 - Everywhere! Behind You! Sometime back in September 2015 we decided we wanted to produce a quick horror audio drama, just for fun. In Intensive Care fashion, we asked some of the fellow audio drama producers living in the Northeast if they wanted to be a part of some Audio Drama Day mayhem. The response was a resounding “Hell Yes!”, and 11th Hour Audio ... See More Productions was born. Each October, we will feature new stories created by Audio Drama teams from all over the world to tingle your spine and shiver your soul. Audioblivious Productions is an independent Audio Drama production studio. our primary show is Wynabego Warrior The Tale Of John Waynnabe, a modern day old west comedy/parody, we also have several stand alone stories, a two part fantasy, sci fi thrillers, and three upcoming new series. we publish new episodes at least once a month. Presenting short and feature-length audio dramas and short-run audio series. A young psychic stumbles into a carnival underworld run by the Angel of Death. A psychedelic noir audio drama podcast set in 1940s Los Angeles. Recently radio broadcasts in the city have been reduced to static, leaving a popular radio serial as the only remaining show on the air. Even then the show finds itself continuously interrupted by a mysterious broadcast. A lone distorted voice reaching out for help. Follow ... See More Walter “Troubles” Mix and his partner Whitney as they search for a missing writer and navigate through a city quickly falling into madness. Could the mysterious voice be the culprit? Will anyone be able to stop the madness from spreading? And… What’s The Frequency?